Shadow Zone is brilliant step-by-step strategy game based on science fiction screenplay. 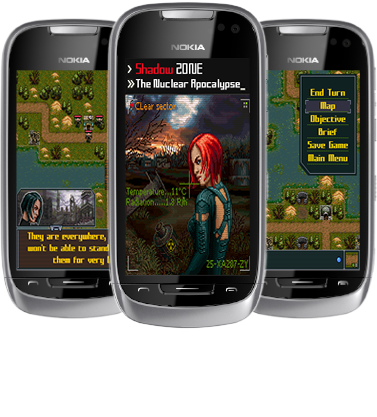 Player's character is a hero accepted quest in order to save the world from thermonuclear danger. His mission is to breakthrough security perimeter of Alienation Zone and to prevent development of thermonuclear chain reaction in the middle of the 'Shelter' object, which hides half destroyed nuclear reactor at Chernobyl nuclear power plant. During the mission hero will be attacked by mad Black Stalkers and awful creatures of the Zone.